The Zero/Sports N1 Clutch Kit includes the 4-Puck Clutch Disk, Clutch Cover, and Release Bearing.The Zero/Sports N1 Clutch Disk is an excellent replacement for the factory clutch when being used in high-power applications. The N1 Clutch Disk solves the problem of excess clutch vibration with its unique design. -Rather than the usual 3-Puck design, which tends to have vibration issues, the N1 Clutch Disk is a single-piece 4-puck design that provides a greatly improved smooth engagement. -The Zero/Sports Clutch Cover is the perfect choice to go with your new Zero/Sports Clutch Disk. Zero/Sports carefully considered the balance of the Subaru transmission to create a clutch that will provide an optimal clamping force of 2315 pounds. 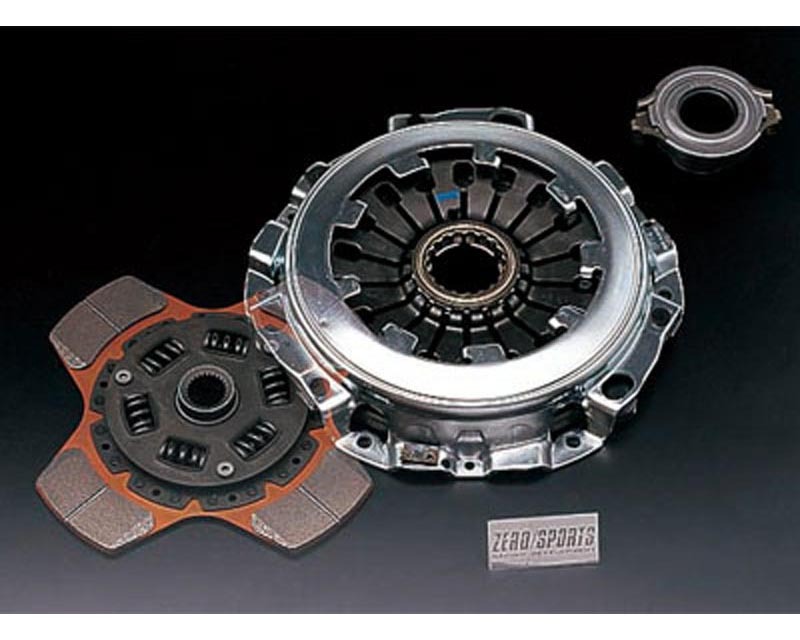 -Even with its high clamping force, the clutch cover still only requires pedal effort similar to that of a factory clutch cover.When the clamping force of the clutch cover is increased, the durability and strength of the release bearing must be upgraded. -The Zero/Sports Release Bearing for 5-Speed and 6-Speed Subaru manual transmissions has the strength needed to stand up to the height clamping forces of the Zero/Sports Clutch Cover. -This N1 Clutch Kit is capable of holding 550 wheel horsepower and is only for use with a 5-Speed Subaru manual transmission; this model will not work with a 6-Speed transmission.